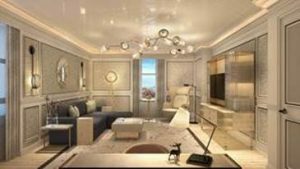 Mandarin Oriental Hyde Park, London will unveil the first phase of a far reaching renovation on 1 August 2017, with the re-opening of the Knightsbridge-facing guest rooms and suites. 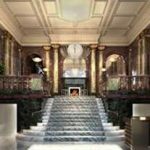 Following the reveal of a dramatic new lobby entrance and reception area in January, the guestrooms and suites are now more luxurious and comfortable than ever before, encompassing details inspired by the building’s Edwardian heritage and the natural beauty of Hyde Park. Internationally renowned interior designer, Joyce Wang, commissioned to oversee the overall design concept, sought inspiration from the royal park, and was influenced by the glamour of the early 20th century’s Golden Age of travel. These include curated artworks and custom-designed furniture that together create a warm and inviting environment in each of the rooms and suites. Light and contemporary, each room has a unique and individual layout, featuring alcoves, warm grey panelled walls and hand-gilded mirror artwork. Art Deco-inspired features and wildlife adornments are present throughout the space, reminiscent of the nearby park. Rooms overlook fashionable Knightsbridge or the inner courtyard with views of a green landscaped living wall. Bathrooms are fashioned from Volakas marble with either a walk-in shower or a bath with an in-built shower. Miller Harris bathroom products and Jo Hansford hair are the chosen amenities. All guestrooms overlook either fashionable Knightsbridge or the quiet courtyard. Suites have their own individual layout and an elegant hallway entrance, with a vibrant setting overlooking Knightsbridge or the inner courtyard with views of a green living wall. All suites have a spacious and comfortable bedroom, separate walk-in closet and a living area furnished with a velvet-upholstered sofa, wing-back reading chairs and a leather-topped writing desk. Taking inspiration from the nearby park, the living room’s centrepiece is a striking gold and crackled glass bespoke acorn chandelier. Bespoke Fromenthal wallpaper, horsehair light sconces and gloss painted patterns that reference the horse-riding paths through Hyde Park are all part of the new design. The generous marble bathrooms feature separate walk-in showers with stand-alone baths and twin vanity units. Amenities by Miller Harris and exclusive hair products by Jo Hansford are present in all bathrooms.